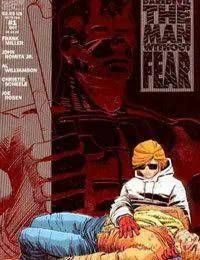 Young Matt Murdock is the son of Battlin Jack Murdock, a down-on-his-luck boxer who has been forced to become a mob thug in order to pay his bills. Matt Murdocks life forever changes the day he saves a man from an oncoming truck, becoming blinded by radioactive chemicals. Having his other senses enhanced, Matt begins to see the world in a different way. It is then that Matt is approached by the mysterious Stick, who trains Matt to be a warrior.